A variety of twisted, disc and rotary wire brushes for surface conditioning and deburring applications are used in aircraft industries. 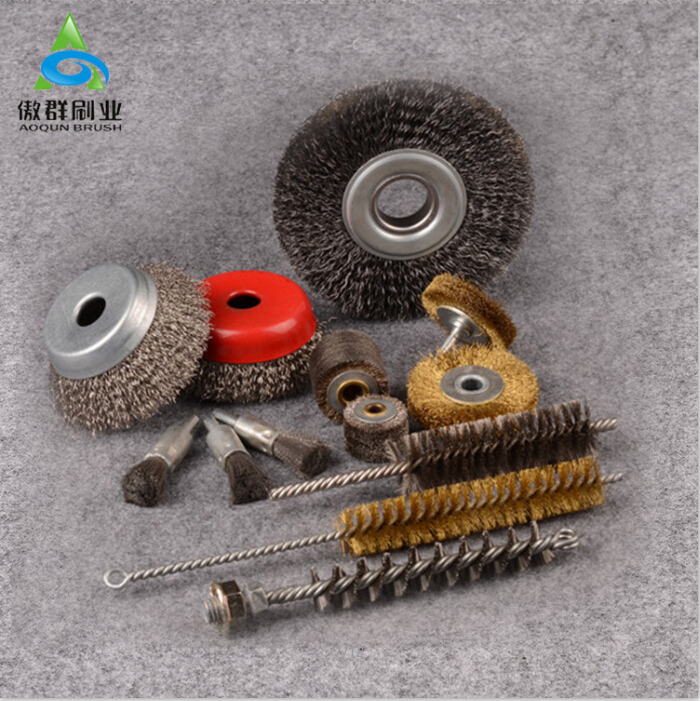 The main functions of the wire brush is to round shape edges, remove metal flakes for not to pollute the engine and the oil filters, and to assure the normal engine operation. Generally speaking, it needs us to work closely with the engineers to customize the wire brush, will be much different from the standard wire brush. AOQUN can offer you any material of brushes, such as PP/PA/natural animal hair/metal/abrasive wire, etc.. Further more, we can provide 2000 kinds of brushes meeting with standard specification, and we can customize any brushes to satisfy your unique need.